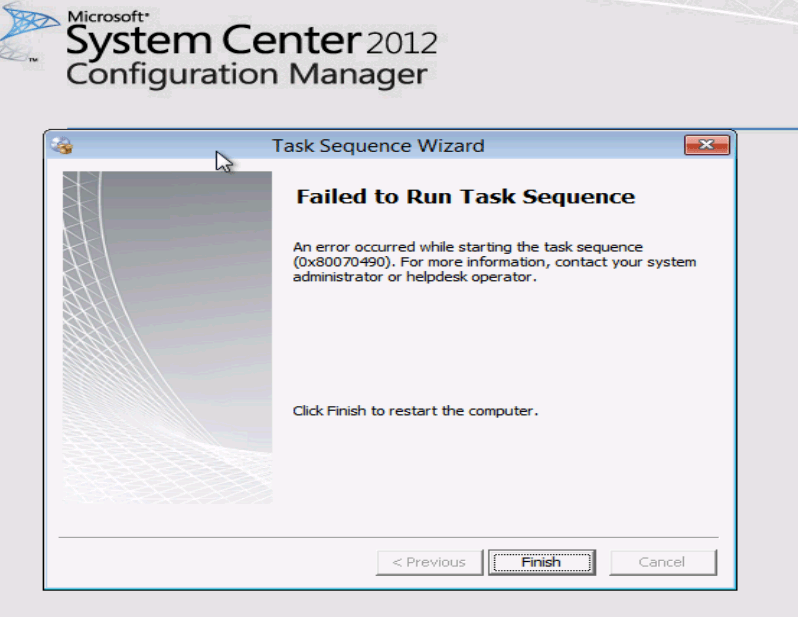 I am trying to load Windows Server 2012 on one of my servers in remote DC, by using SCCM 2012. But unfortunately, I am getting an error described in the title of this article – An error occurred while starting the task sequence 0x80070490. If you go and check this website: SCCM 2012 error codes, you will have a better overview in what exactly error message means. 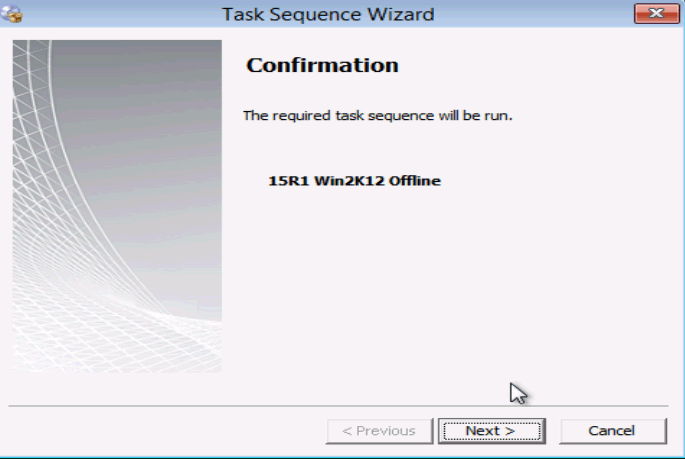 To find out what had caused this Failed to run task sequence 0x80070490 to appear, I have to open a SCCM 2012 task log, smsts.log file. type DIR and hit enter to check if you have listed smsts.log file. Scroll down at the very end, because there should be an error and explanation why we have got this error message. In my case, the system disk was partitioned, but a system partition was not defined. So, SCCM was not able to find a partition on which it should start copying OS install files, and therefore, it aborted the installation. So, lets try to create new RAID 1 and start the build one more time. Reboot the server, and enter RAID configuration utility (it depends which one you have). In my case, I have hit F8 when it prompted me to do so. I have deleted the old RAID 1 setup, and created a new one.